This lamp is an exclusive design by Pirro Cuniberti who was better known for his works as an abstract painter and graphical artist. In the 50s he worked together with Dino Gavina on graphic design and displays for trade fairs. 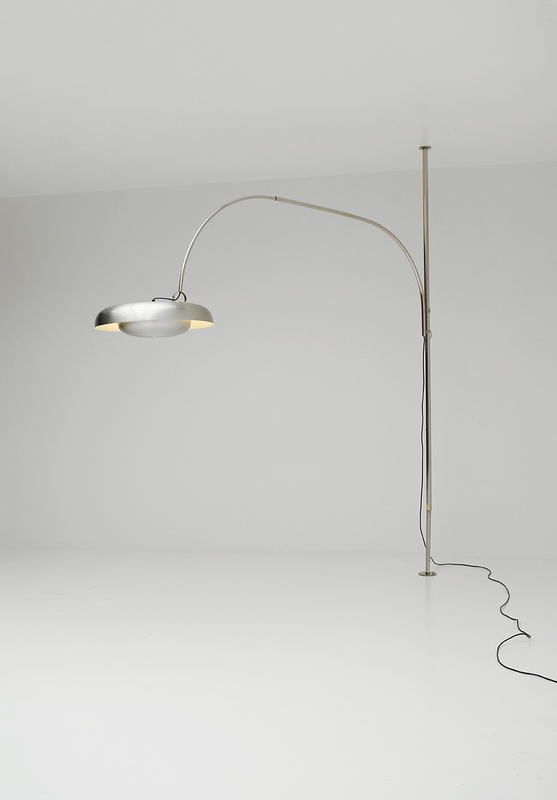 Cuniberti designed this lamp in 1970 for Sirrah Imola, Italy. 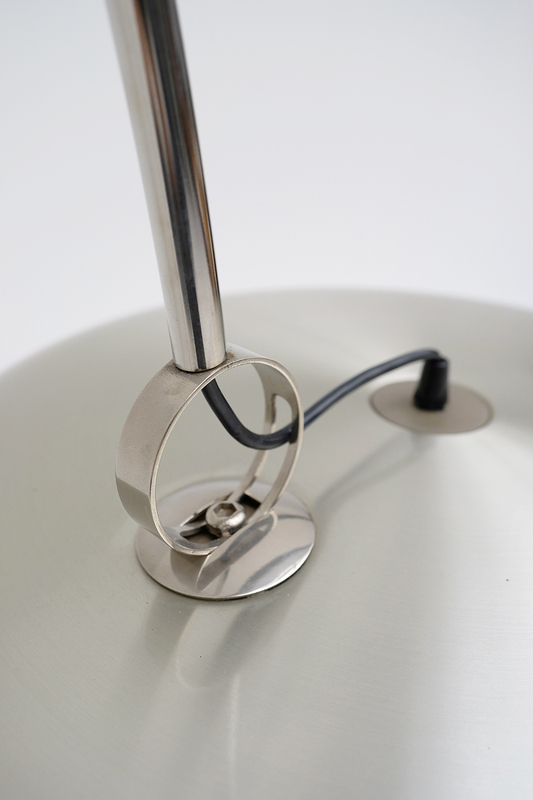 The design of this lamp is vey related to his artwork and shows the same fluent lines. 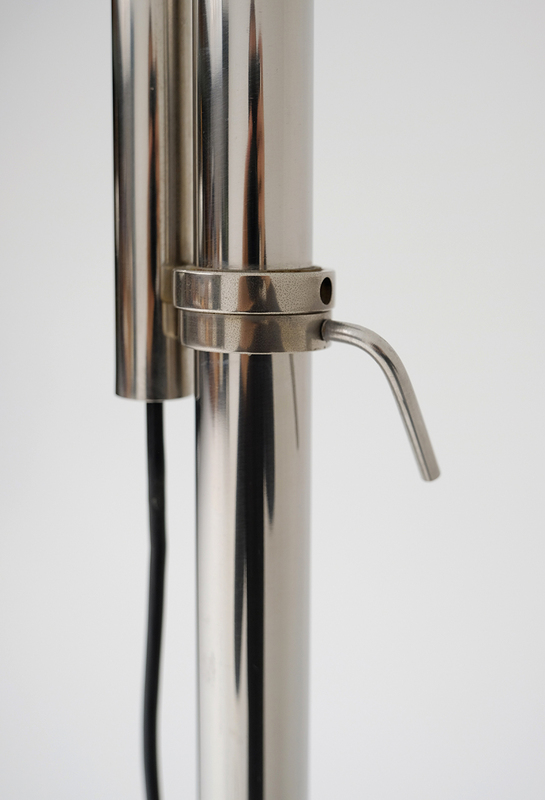 The adjustable pole mounts to the floor and ceiling, the extended arm holding the pivoting lamp is also adjustable hight. 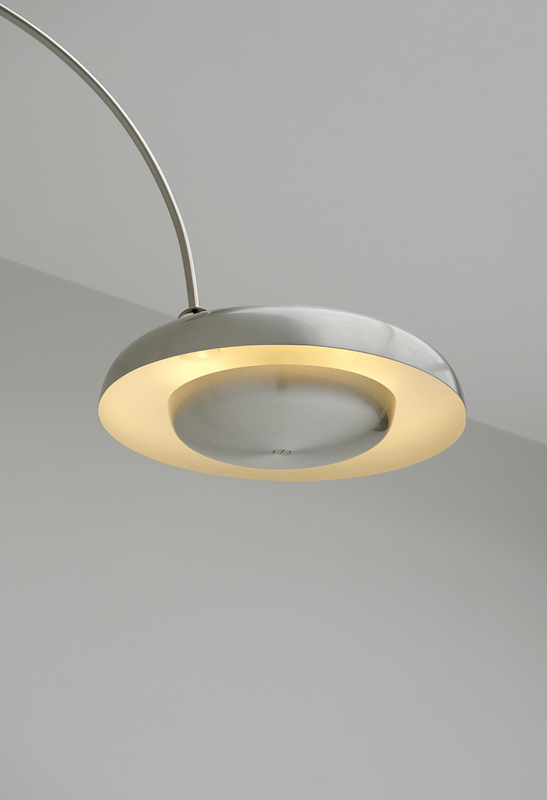 A brushed aluminium shade carries an under-shade which gives a nice diffused light. 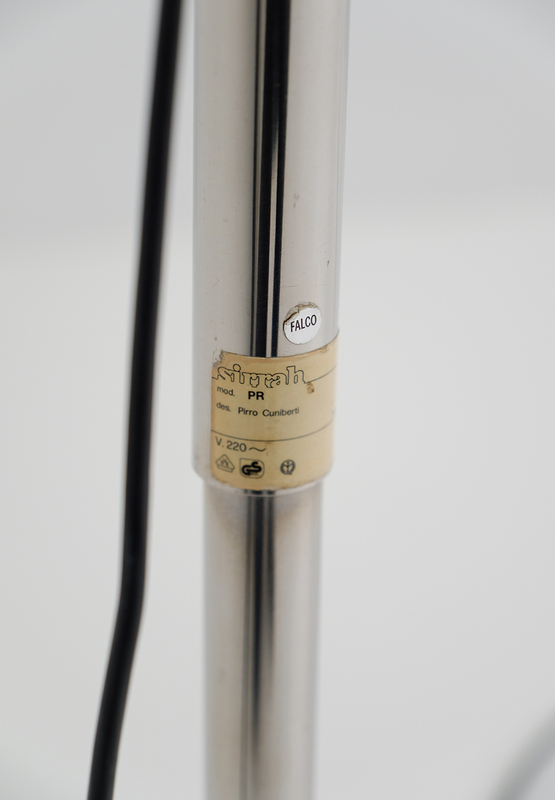 Also the original label is still attached to the pole.The adjustable pole mounts to the floor and ceiling, the extended arm holding the pivoting lamp is also adjustable hight. 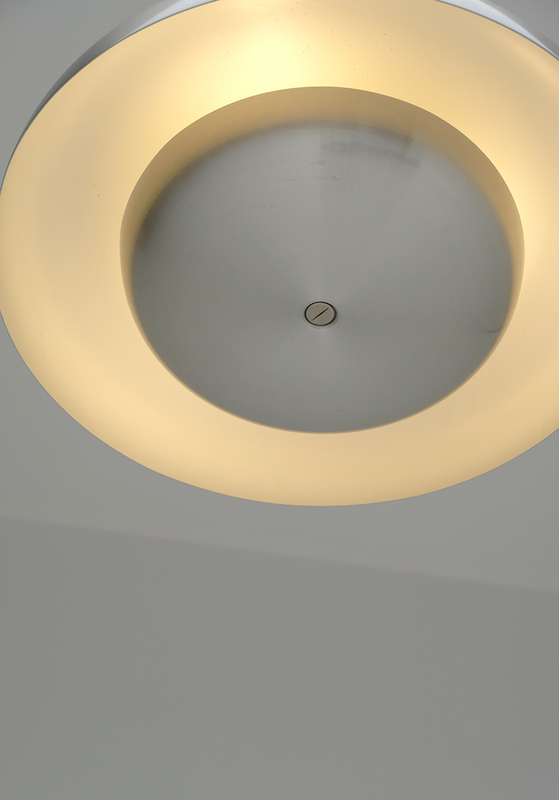 A brushed aluminium shade carries an under-shade which gives a nice diffused light.